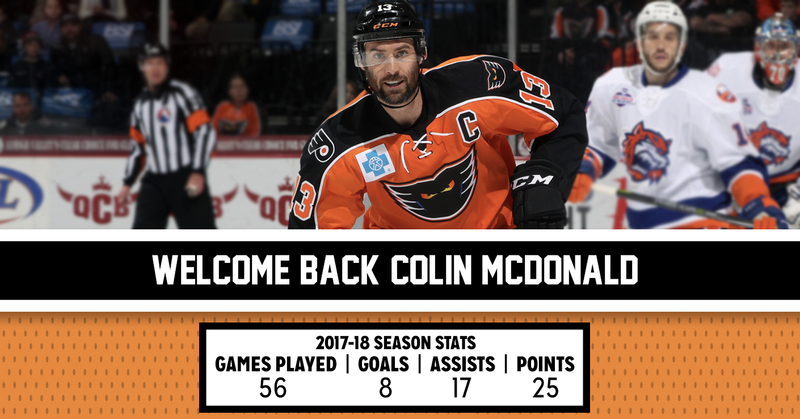 Lehigh Valley, Pa. — The Lehigh Valley Phantoms, proud AHL affiliate of the Philadelphia Flyers, are pleased to announce that forward Colin McDonald and defenseman David Drake have been signed to AHL contracts for the 2018-19 season. 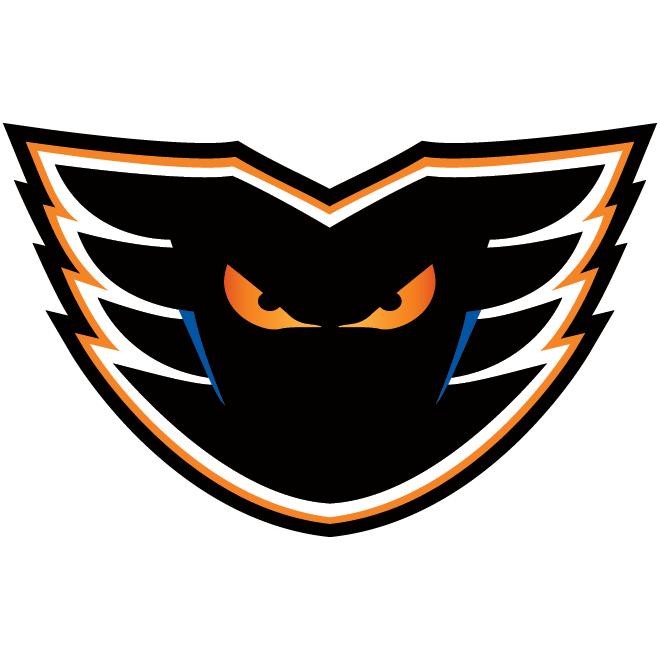 McDonald is returning for his fourth-consecutive campaign with the Lehigh Valley Phantoms while Drake will be entering his first full year of professional hockey following his senior collegiate season at the University of Connecticut. 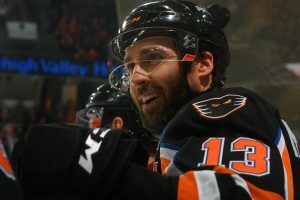 McDonald has worn the “C” on his jersey for the past three seasons as the Phantoms captain and has won over the hearts of the Phantoms large and loyal fan base via his hard-nosed and hard-hitting style of play. 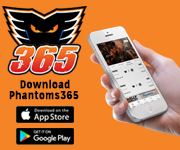 The 33-year-old native of Wethersfield, Conn. has played 179 career games with the Phantoms racking up 101 total points on 47 goals and 54 assists. Last year, “Mac” netted eight goals and tallied 17 assists for 25 points in 56 games played. 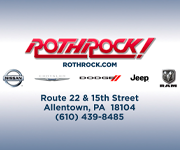 The highly respected locker-room and on-ice leader for the Orange and Black has played a total of 628 games in an AHL career that has included stops in Springfield, Oklahoma City, Wilkes-Barre/Scranton and Bridgeport where he accumulated 157 goals along the way as well as 181 assists for 338 total points. 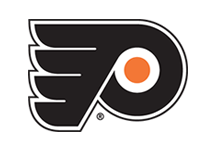 During his time in the Flyers organization, McDonald has also played in eight regular-season games for Philadelphia as well as three Stanley Cup Playoff games in 2016. His NHL career spans 148 total games with the New York Islanders, Pittsburgh Penguins and Edmonton Oilers scoring 20 goals and 26 assists for 46 points. McDonald played his milestone 600th career AHL game on January 27, 2018. He is also expected to play his 800th career pro game at some point during the 2018-19 season as he currently stands at 779 professional games. On April 8, 2018 he became just the sixth player to record 100 points in a Lehigh Valley sweater and was the 31st in Phantoms franchise history to accomplish the feat. McDonald joined Chris Conner (148), Danick Martel (120), Taylor Leier (117), T.J. Brennan (105) and Greg Carey (104) as “100 Point Club” members with Lehigh Valley. The Providence College product led the American Hockey League in goals when he amassed 42 lamplighters for the Oklahoma City Barons in 2010-11. He remains the most recent player to score 40 goals in a season in the AHL. Two years ago with the Phantoms, McDonald’s 25 lamplighters were the most since his Willie Marshall Award winning season of 2010-11. 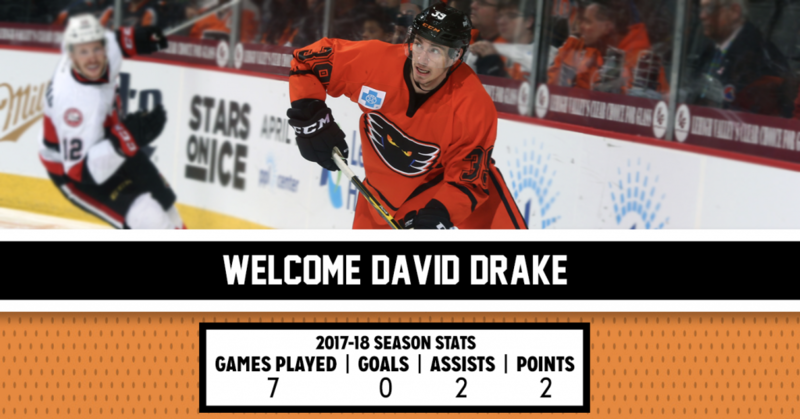 David Drake joins the Phantoms from the University of Connecticut, but is no stranger to the Lehigh Valley. 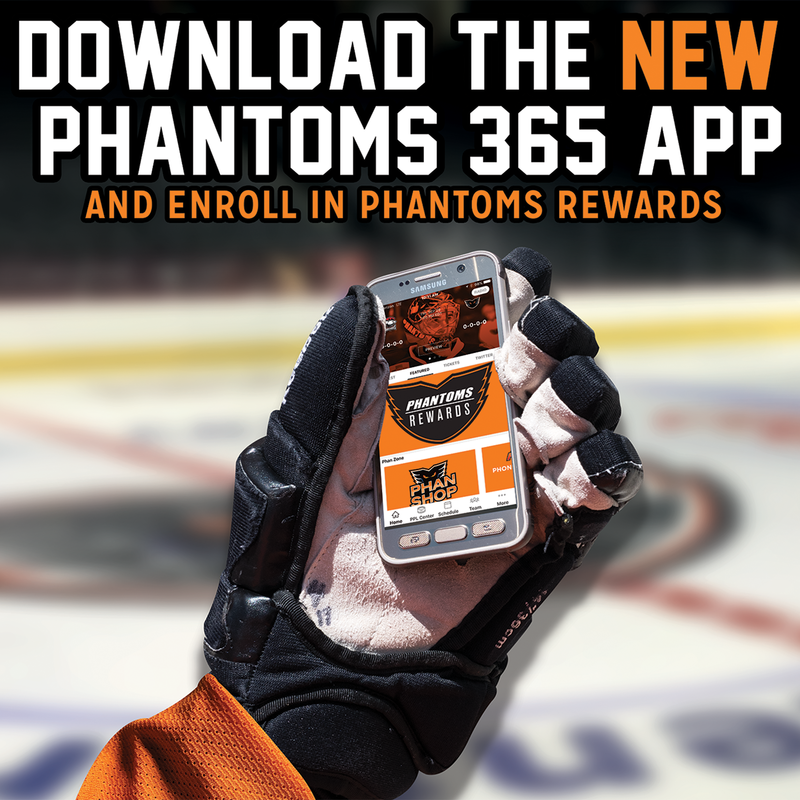 The 6-foot-6-inch blueliner played in seven regular-season games after arriving to the Phantoms on an Amateur Try Out at the end of the 2017-18 season. 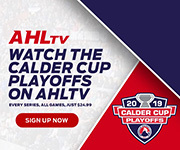 Drake recorded two assists among his first-ever professional games and also joined the lineup for one game during the team’s Calder Cup Playoff run. 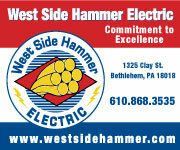 The Naperville, Ill. resident was a seventh-round selection of the Philadelphia Flyers while with the Des Moines (Ia.) 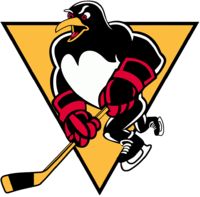 Buccaneers of the USHL, prior to joining the program at UConn. In four seasons with the Connecticut Huskies from 2013-14 through 2017-18, Drake played in 124 games scoring four goals and 21 assists for 25 points. 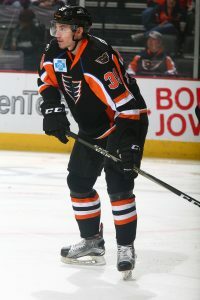 The 23-year-old Drake made his pro debut on March 31, 2018 in a 4-2 victory at PPL Center over the Belleville Senators. He registered an assist in the first period of that game for his first pro point as he contributed to Greg Carey’s 30th goal of the season.